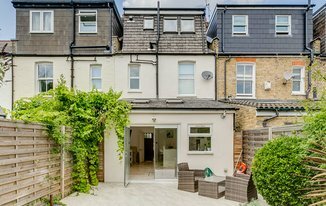 Enviably located on a lovely residential road set by Wimbledon Park. This stylish house benefits from three double bedrooms, on single bedroom, sperate reception room, open plan kitchen and well-kept private garden. In the priority area for Wimbledon Park Primary School, it is perfetcly suited to a family, with Wimbledon Park Station (District Line) is just a stone's throw away, providing easy access into Central London.